The Model 640M is a "miniature" general purpose indicator which provides simple, yet accurate and reliable weighing used on mixers, grain carts (grain chasers), livestock scales, feed bins, weigh carts and many more applications. 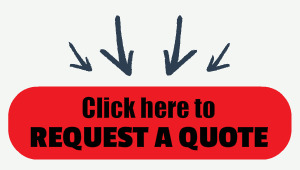 Ideal for places like truck and tractor cabs where space is limited. Motion Filtering. 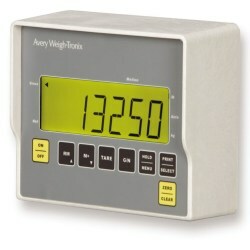 The Avery Weigh Tronix Ag Scales Model 640M is a "Miniature" general purpose indicator which provides simple, yet accurate and reliable weighing used on mixers, grain carts (grain chasers), livestock scales, feed bins, weigh carts and many more applications. The small, compact indicator design makes it ideal for places like truck and tractor cabs where space is limited (size: 5.5"H x 7.25"W x 3.25" D). The Model 640M indicator is a compact Gross/Tare/Net weight indicators which include 1.1" (2.7 cm) LCD alpha-numeric display, with bright yellow green adjustable backlighting for easy viewing regardless of lighting conditions. Operates from 12VDC source and has selectable weight filtering, 100 accumulator memory channels, with individual statistics (count, total, and average weight accumulated) with alpha-numeric identification of those channels. Ideal for such applications as identifying field plots, seed types, recipes, and livestock pens or animals. Options included RAM mount, RS-232 serial port, RD40/RD40XL remote display output, wireless RD40RF output, and connector options.